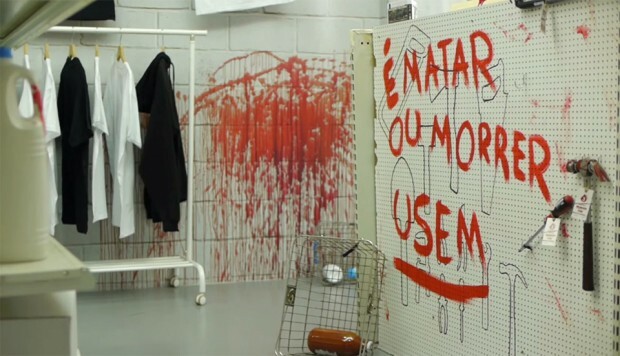 Fox Portugal hit a vein with its idea for a promotion for The Walking Dead season four. The network got together with The Portuguese National Blood Bank Institute and created a “Blood Store” where fans could donate blood in exchange for The Walking Dead merchandise including t-shirts and other items. The more you donated, the better merchandise you got. I know I saw Tyreese’s hammer in there. This novel blood drive was so successful it brought blood donations up 571 percent over the previous year, with 67 percent being first-time donors. The idea has caught on, and will be coming to Spain, the Netherlands, Turkey, Brazil, Argentina, Columbia, and the United States. Hey, I’d do it. Not only is it for a good cause, but what’s a little blood if it means proving yourself a The Walking Dead superfan?